This tiny mom and pop spot only seats around two dozen. Order the pork belly, then pile on extras like corn, butter, green onion, egg and bamboo shoots. 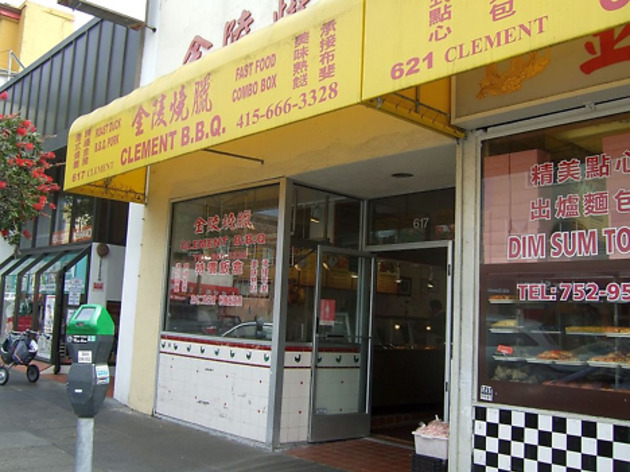 Browned ducks dangle above steaming trays of rice and porridge in the front window at this Inner Richmond hole-in-the-wall. (Look for the bright yellow awning and checkerboard tiles out front.) Near-constant lines ensure that everything served is fresh from the oven, fryer or steamer, no matter the time of day. Try the tender shrimp dumplings, perfectly cooked lotus-wrapped rice, flavorful beef curry rolls and hearty jook. 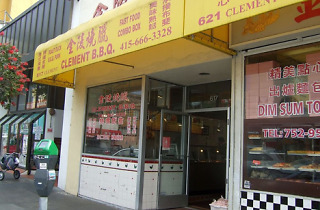 The real specialty here is the char siu bao, a Cantonese barbecue pork bun. The fist-sized delicacy is a meal in itself, its pork and onion filling encased in a doughy, chewy shell. Order 7 buns or more and you'll get a sturdy to-go box—a welcome upgrade from the neighborhood's standard, flimsy take-out containers.